When the route ahead is an unknown the Donnelly X’Plor USH is the tire of choice. This adventure tire features a combination of a firm center ridge and diamond-shaped side knobs that provide amazingly low rolling resistance and great cornering control. Ideal for dirt road exploration, long tours, urban assault, and anything in between. The USH is named for the airport code of Ushuaia on the island of Tierra del Fuego, Argentina. Ushuaia is the southernmost city in the world, and the ultimate destination for adventure bike touring. 60 TPI casing for lightweight, supple ride. 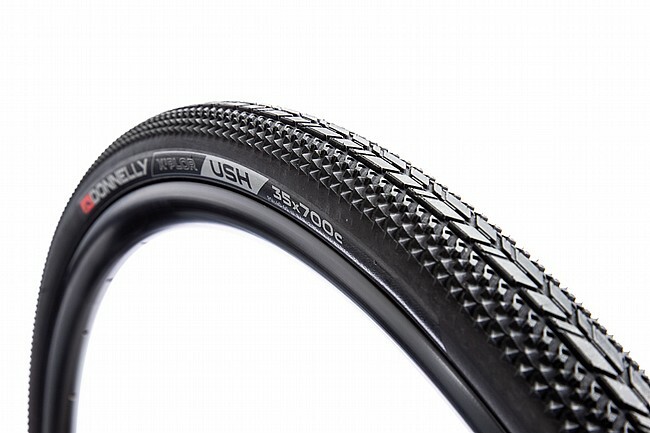 Integrated puncture protection belt under the tread for increased reliability. 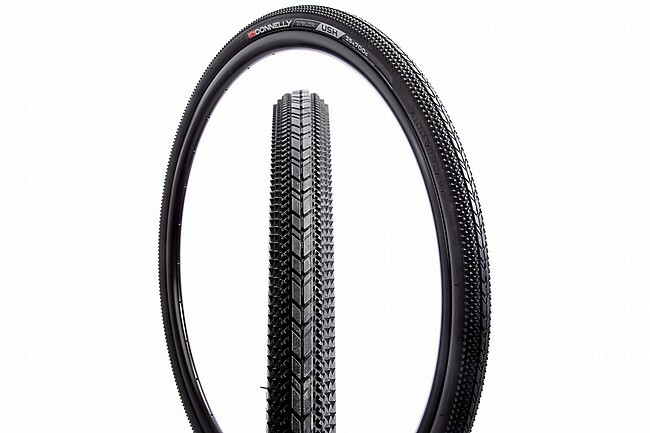 I've now bought 2 sets of these tires. First for my leasure bike and then another set for my daughters bike. We use them for getting around town and crushed limestone rails to trails. Great traction and wonderful soft feel.